American labor activists from the Service Employees International Union (SEIU) are going to Seoul, South Korea, to hold protests with their South Korean union counterparts to put pressure on the South Korean car manufacturing giant Hyundai to try and either put pressure on the Alabama state legislature to dump the state’s immigration law or threaten to pull out of the state. As you have probably guessed, Hyundai is caught in a very bad position. Before I say anymore about this controversial mess, I should explain why Hyundai has a big manufacturing plant in Montgomery, Alabama. 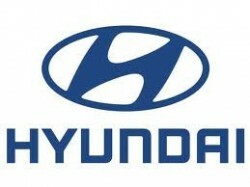 Hyundai, which is headquartered in South Korea, established a large car manufacturing plant in Montgomery in 2002. The $1.4 billion state-of-the-art facility employs 2,700 people in high paying jobs. Hyundai employs hardworking, highly skilled and motivated workers who are proud of the cars they make. Hyundai has greatly benefited from the hard work and cheaper labor costs of being in Alabama. Then suddenly the Alabama state legislature adopted its controversial state immigration law that gives law enforcement the power to profile those who “might be illegals” and empowers police to arrest and detain such suspects. This law hit home for Hyundai last November when Alabama police stopped and arrested two foreign employees from Honda and Mercedes Benz companies in Alabama. After official protests from these two companies, the two employees were let go. Companies in Alabama have considerable influence in Alabama’s politics, and the Alabama politicians know that if they start hitting at those companies who have invested in Alabama, they may pull out and go to other states if these corporations feel they are being targeted. At the same time, with how much money, resources and personnel have been invested in their facilities in Alabama, most of these companies do not really want to pull out (understandable enough) and therefore they do not want to get involved in the state’s politics. This is easier said than done. The SEIU, which actually has the most to lose if their membership is attacked (many of them being legal immigrants and undocumented as well as U.S. citizens in Alabama), want this state law repealed. Because the companies have a great deal of influence in Alabama, the unions as well as legal rights organizations such as the Southern Poverty Law Center want the companies to get involved to repeal Alabama’s state law. But what must be remembered is that while big business may have an influence in the local politics in Alabama, these companies must also try to keep the good will of the politicians who run the state. Hyundai is no exception to this. If Hyundai gets involved in the political process to try and change the state’s immigration law, then the state government might demand that Hyundai leave Alabama and the state as well as the people of the state will lose 2,700 good jobs. If this sounds impossible, stranger things have been known to happen. So there you have it—Hyundai caught in the middle of a fight between the unions and civil rights organizations against the state law, and the Republican Party and the local state officials upholding the law. Like all the rest of the companies, Hyundai is trying to stay neutral in this whole conflict. But can they?